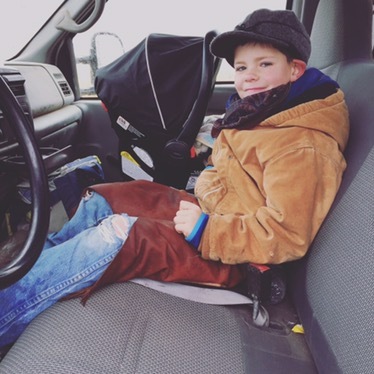 Day four of Agricuture Month in Saskatchewan brings us a guest post from Tara Davidson. Tara is a friend and fellow RancHER from Ponteix, Sask. 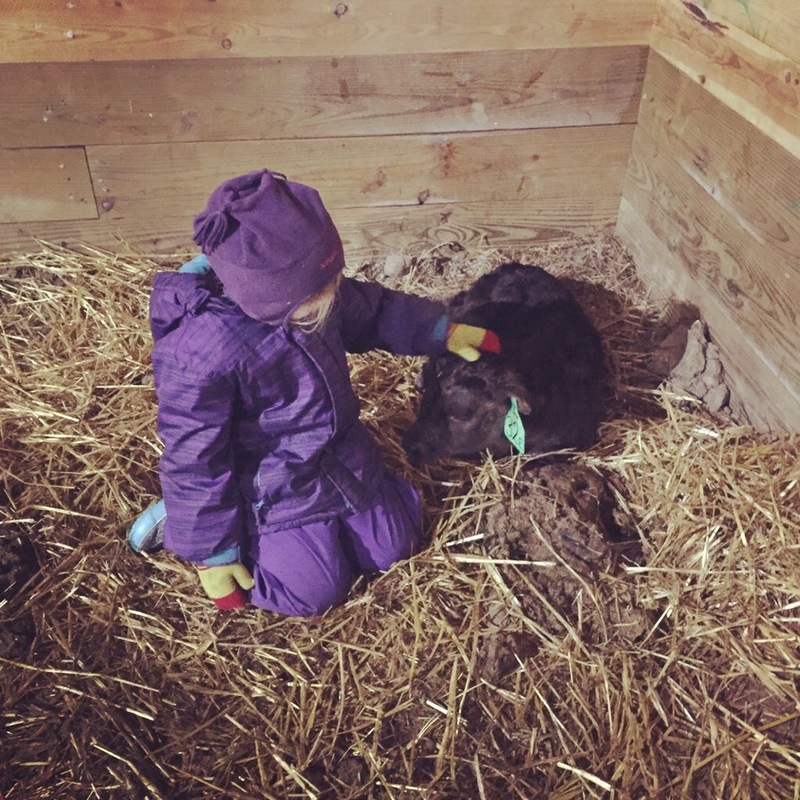 Her ability to work the ranch on a daily basis with her children, including a tiny baby, astounds me – she is a Super Woman!! 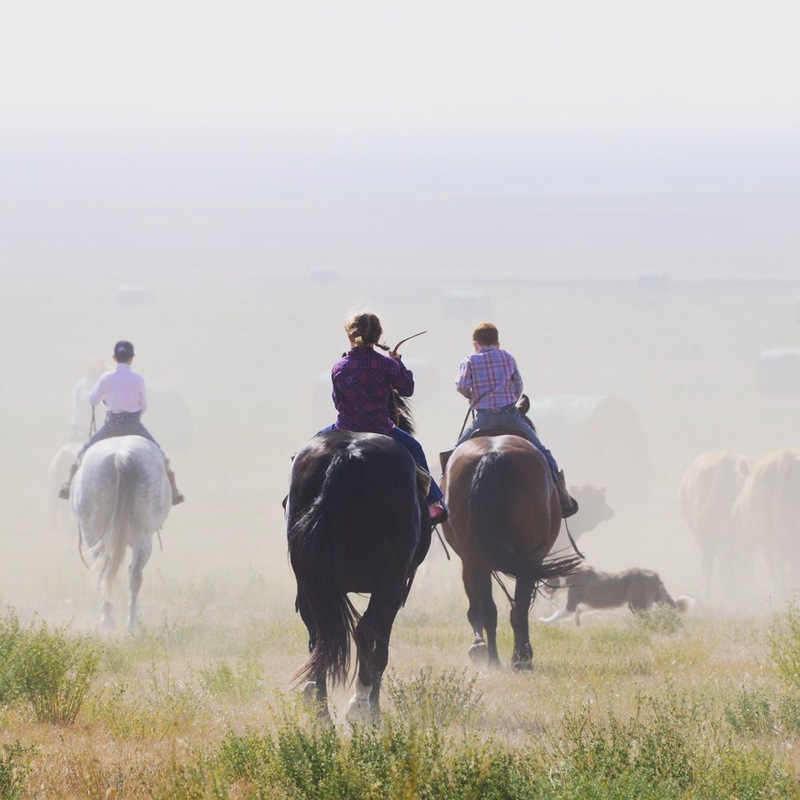 While our ranches are quite different, I am continually amazed at how closely our stories align. I hope you enjoy Tara’s food story!! Follow Tara on Twitter @tara_m_davidson or check out her Lonesome Dove Ranch here. It’s October in Saskatchewan, which means it’s a busy time of year for farmers and ranchers. It’s also Agriculture Awareness Month and I’m pleased to share my food story. Along with my husband Ross and our four young children, we own and operate Lonesome Dove Ranch, in southwest Saskatchewan near Ponteix. 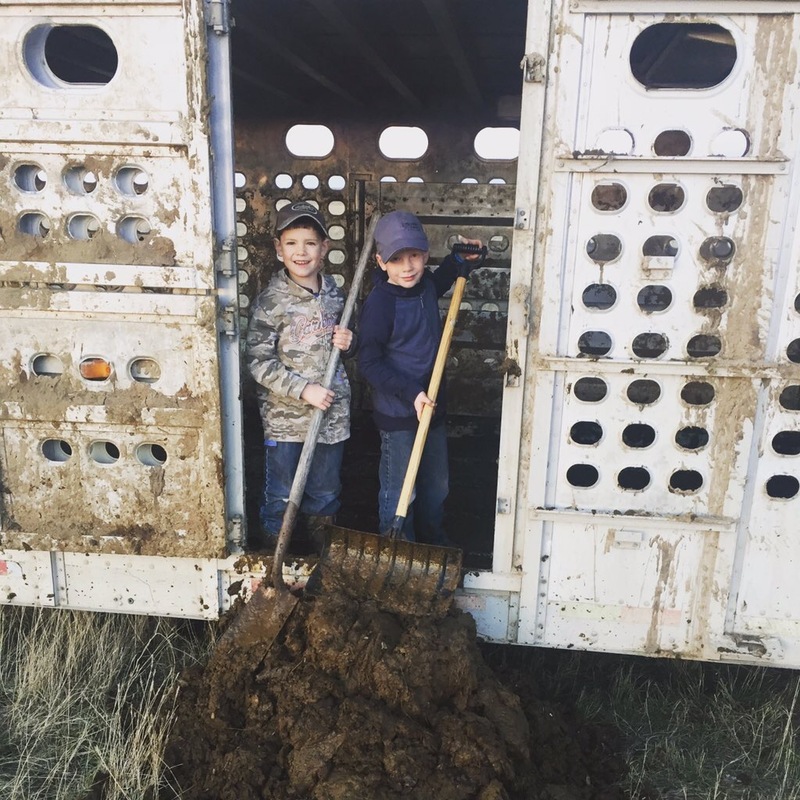 We run a cow-calf operation, rely on ranch horses and cattle dogs in our daily work, and (mostly) enjoy the ups and downs of a large working cattle ranch. I’m a rancHER, so part of my food story includes raising purebred and commercial Gelbvieh cattle. We raise cattle that other ranchers purchase to build their herds from and we also raise cattle that go into the food chain. Whichever the destination, my story includes understanding why I use certain production practices on my farm and being able to explain them to others, whether it is a fellow cattle producer or the general consuming public. For us, accountability is an essential part of operating our ranch. I’m a mother, so part of my food story means trying to provide our children with a nutritious and balanced diet. Like many families, we are on the run with school and extracurricular activities but fortunately we are lucky most nights to have supper together as a family. Trying to plan and prepare meals for four hungry kids (ok, three – my infant is pretty easy to feed at the moment!) is always a constant, underlying responsibility. When consumers tell me safety, cost, and convenience are high on their priority list, I completely understand because they are important to me as well! I’m a Professional Agrologist and work as a grassland specialist. 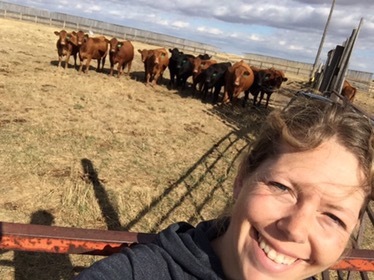 Part of my food story is the story behind raising cattle… the grasslands, water resources, and biodiversity that cattle play a role in conserving! Livestock graze land that is unsuitable for producing food, converting native prairie and tame forage into beef, all while maintaining habitat for species at risk, pollinators and other wildlife. Grasslands sequester carbon, filter nutrients, retain rainfall (a pretty precious resource in my neck of the woods), maintain soil biological health, and they require few inputs, other than fence and stock water. I’m a writer, so part of my food story is…writing food stories! I need to continuously ask myself, who is my audience? What are my objectives? If I’m writing on behalf of an organization, am I sure that I’m representing them appropriately? If I’m writing as “me” on my blog, am I sharing thought-provoking content? Or am I just ranting? I hope to share my perspective as a rancHER in a way that I’m proud of and can stand behind. Every good story has a beginning, a middle and an end and the storyline depends largely on who is doing the telling. Food stories are no different, and everyone’s role and voice is valuable, whether it’s that of a farmer, a concerned consumer, a curious parent, a research scientist, or a food retailer. I’m raising my family while growing food that feeds other families, in a way that conserves land and water resources. That is my food story, and I’m proud of it.